You might be surprised how far your money goes in the new-car market these days, provided you know how to spend it. Industry analysts are warning that the new-car business is facing an affordability crisis, with the average cost of a new vehicle now exceeding $35,000 and loan terms of seven and even eight years becoming more common. Fortunately there are still solid choices among the 2017 fleet of new cars for budget-minded buyers – even for cash-strapped enthusiasts – that can be driven off a dealer’s lot for at least $10,000 under that national average. Best of all they neither look nor feel cheap and all feature above-average performance that belies their affordable sticker prices. We’re highlighting 10 of the best new models that start under $25,000 (including the automaker’s mandatory destination charges), with most of them being affordable enough to add a few bonus features and still stay on budget. Unfortunately, it’s thin soup for sporty cars in the under-$25,000 price range. At that we managed to isolate several models those with a penchant for aggressive motoring should find satisfactory, and several that are offered in hatchback and wagon configurations that can serve as less-costly, but certainly more-entertaining-to-drive alternatives to same-sized crossover SUVs. We’re listing them below in order of increasing price according to their base Manufacturer’s Suggested Retail Prices (MSRPs). Available only in a well-equipped single-spec model, the stylish Toyota Yaris iA comes courtesy of Mazda; it was formerly called the Scion iA before Toyota closed its youthful small car division at the end of the 2016 model year, and is known in other markets as the Mazda2. Its 1.5-liter four-cylinder engine delivers just 106 horsepower, but it feels peppier than that number would indicate, and gets an EPA-estimated 32/40 mpg with the optional six-speed automatic transmission (the standard six-speed manual gives up a couple of mpg). With a sport-tuned suspension affording crisp handling, the iA is more fun to drive than most small cars. It may be short on back seat room, but its interior is elegantly styled and the car comes packed with features that include a lovely infotainment array and a low-speed auto-braking system. 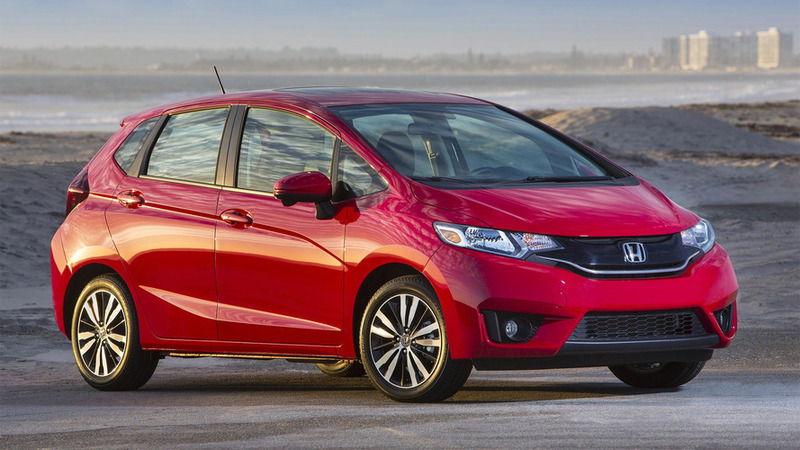 The subcompact Honda Fit four-door hatchback’s tall-roof design affords a surprisingly roomy interior that can legitimately hold four passengers. Otherwise, the second-row split seatbacks can fold completely flat or tumble forward for maximum cargo versatility. A 1.5-liter engine generates a lively 130 horsepower and can be fitted to a six-speed manual or a gearless CVT automatic transmission. That maximizes engine power and fuel economy, but operates with added harshness compared to a conventional automatic. Affordable, amenable, and reasonably entertaining to operate in its base version, the top EX-L CVT comes in at just over $22,000 and is fully equipped with leather upholstery, a navigation system, heated front seats, and Honda’s LaneWatch blind-spot video monitor system. 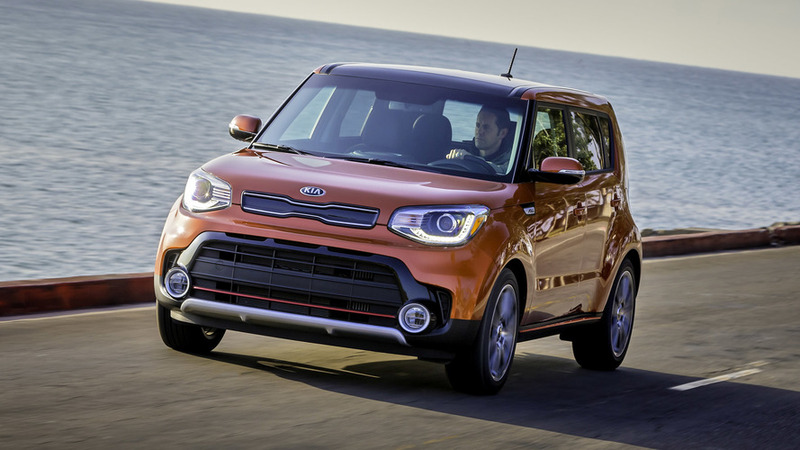 The compact Kia Soul is officially a tall wagon, though some consider it to be a small crossover; either way it delivers a lot of value for the money. Its angular exterior is polarizing, but few occupants would find fault with the Soul’s roomy and tastefully designed interior. Three versions are available, each with their own engine for 2017: There’s a meek 130 hp in the Base Soul, a livelier 161 hp in the + (Plus), and a more-energetic, turbocharged 1.6-liter, 201-hp, four-cylinder and a new seven-speed dual clutch automatic transmission in the top ! (Exclaim) model at just under $25,000. Unfortunately, given the way Kia links option packages, it’s impossible to configure the Soul with high-end features like heated and cooled front seats, a heated steering wheel and any of the latest accident-avoidance systems without spending more than $25,000. 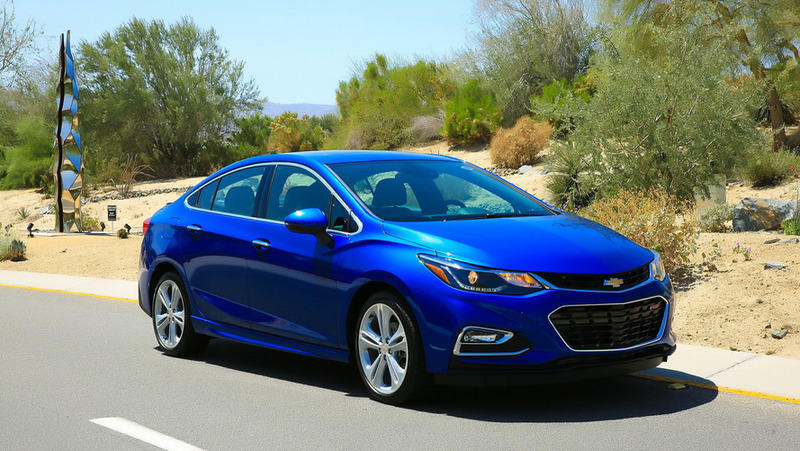 Given a lavish redesign last year, the compact Chevy Cruze sedan is one of the more stylish choices among small cars; it adds four-door hatchback models to the line for 2017 for added practicality. A turbocharged 1.4-liter four-cylinder engine affords a sufficient 153 hp and can be mated to a six-speed manual transmission; with a six-speed automatic either standard or optional depending on the trim level. Drivers are treated to above-average handling with a reasonably smooth ride. Coming decently equipped in its base model, either of the two top Premier models are priced at just under $25K and come outfitted with upscale amenities like heated front seats, leather upholstery, and the MyLink touchscreen infotainment system with Apple CarPlay and Android Auto compatibility. 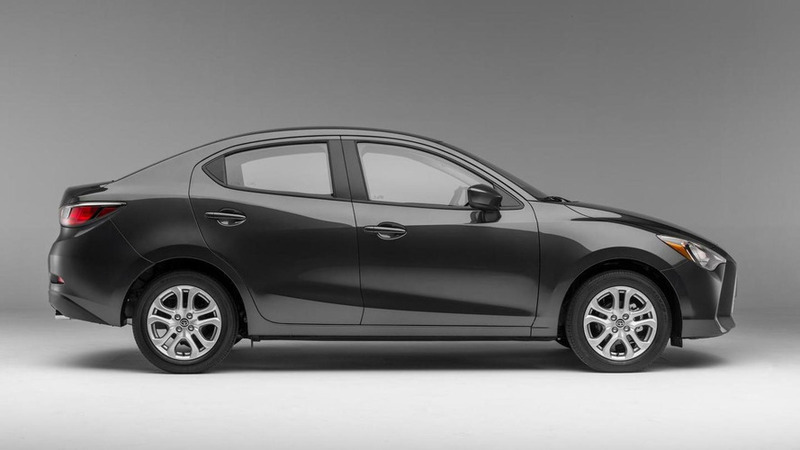 More or less the larger sibling to the Toyota Yaris iM mentioned above, the Mazda3 is fun-to-drive yet sacrifices nothing in the way of comfort or practicality. It comes in both curvy sedan and four-door hatchback models with rich looking and feeling interiors. 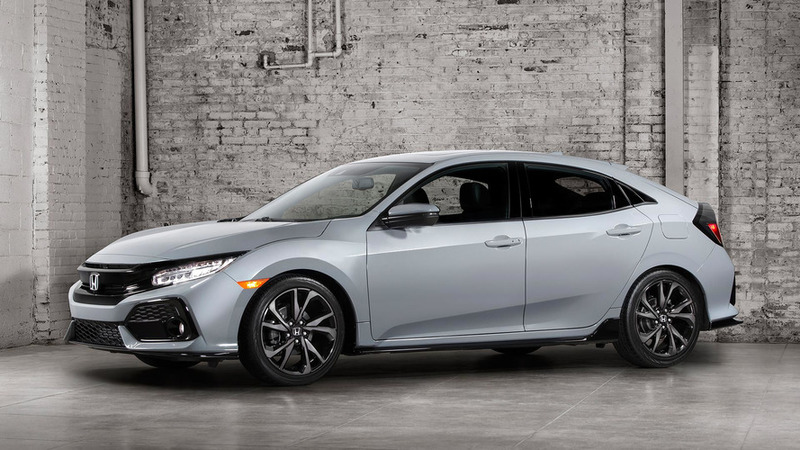 The base engine is a 2.0-liter four-cylinder with 155 hp, though the Touring 2.5 Hatchback and both Grand Touring models are modestly quicker with a 2.5-liter 185-horsepower four; either can be mated to a six-speed manual transmission or a six-speed automatic. 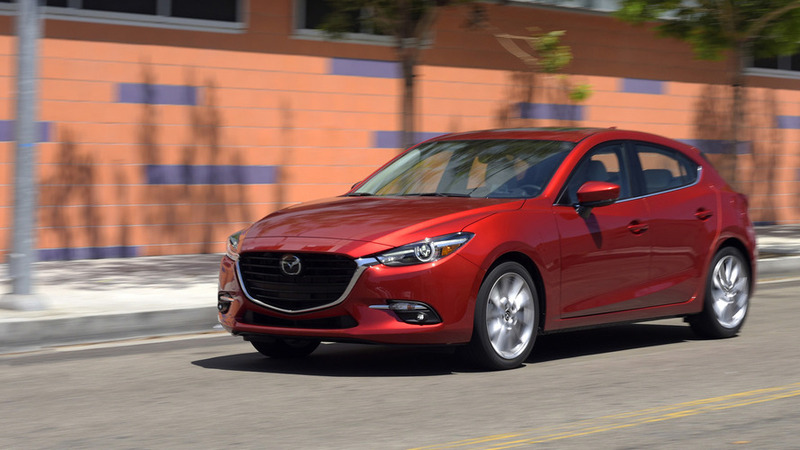 The car’s already excellent ride and handling qualities are improved for 2017 with what Mazda calls G-Vectoring, which momentarily reduces engine torque when entering a curve to help quicken the steering response. The midrange Touring models include items like push-button start, a power driver’s seat, automatic air conditioning, a blind-spot warning system, and low-speed auto-braking, yet still come in at under $25K. The Honda Civic nameplate encompasses a wide range of models, including stylish sedan, curvy coupe, and new-for-2017 four-door hatchback versions that add a sophisticated European look and added cargo stowage. Base sedans come with a 2.0-liter four-cylinder engine with 158 hp, with higher trims and all coupes and hatchbacks packing a perkier turbocharged 1.5-liter four with 174 or 180 horses, depending on the version. Some trims come standard with a six-speed manual transmission, with all offering a gearless CVT automatic. 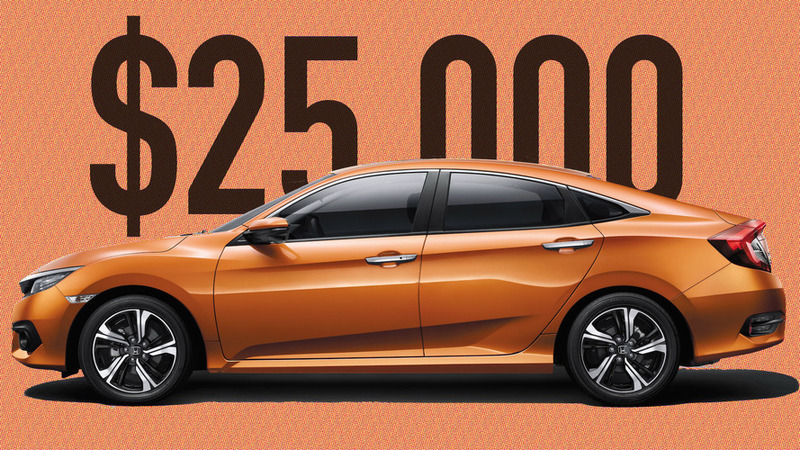 For just under $25,000 you can upgrade to the lively and lavish EX-T sedan that comes with items like a moonroof, push-button entry/start, automatic climate control, leather upholstery, heated front seats and the Honda Sensing suite of advanced safety features that include adaptive cruise control and forward auto-braking. 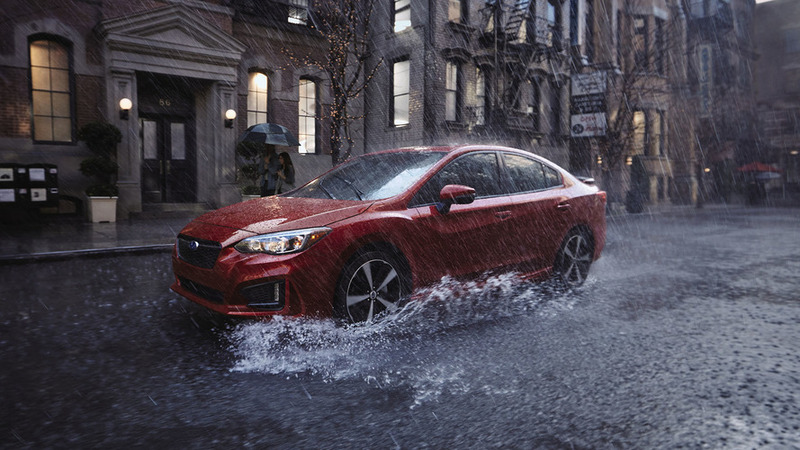 Given a redesign for 2017, the compact Subaru Impreza comes standard with all-wheel-drive for added grip over snowy roads, yet remains affordable. Offered in sedan and four-door hatchback models, a 2.0-liter four-cylinder “boxer” engine puts an energetic 152-hp to the pavement via either a gearless CVT automatic transmission or (depending on the trim level) a six-speed manual gearbox. The best value can be found in the 2.0i Premium sedan with the optional EyeSight suite of advanced safety features (adaptive cruise control, forward auto-braking, and a lane departure warning system) at $23,410, or you can further add a power moonroof and a blind spot warning system and still stay within the $25,000 budget. Or, if you have another couple thousand bucks to throw in the pot, the rebellious rally-ready WRX versions start at around $27,500. 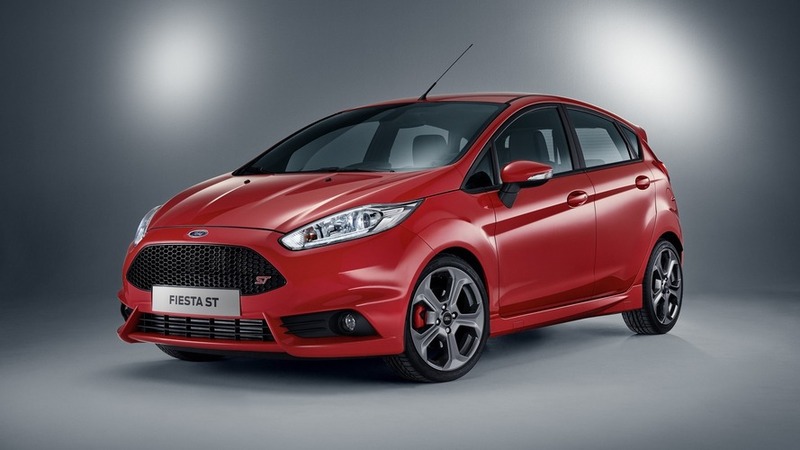 The hot-blooded ST version of the subcompact Ford Fiesta is the industry’s most affordable “hot hatchback;” already priced well under our $25,000 limit, we were able to add a power/heated Recaro sport seats package and the top navigation-equipped infotainment system and still have gas money left over. Its turbocharged 1.6-liter EcoBoost four-cylinder engine puts an energetic 197 hp and 202 pound-feet of torque to the pavement via a six-speed manual transmission. Essential steering, suspension, and braking upgrades, along with a lower ride height, Ford’s electronic Torque Vectoring Control, and a set of 17-inch summer performance tires enable the ST to laser-beam its way through traffic and cling to twisty corkscrew roads like no mere econobox. It can be a rough and tumble ride over broken pavement, and there’s little in the way of back seat room, but aggressive drivers will find putting up the Fiesta ST’s rough edges to be well worth the sacrifice. 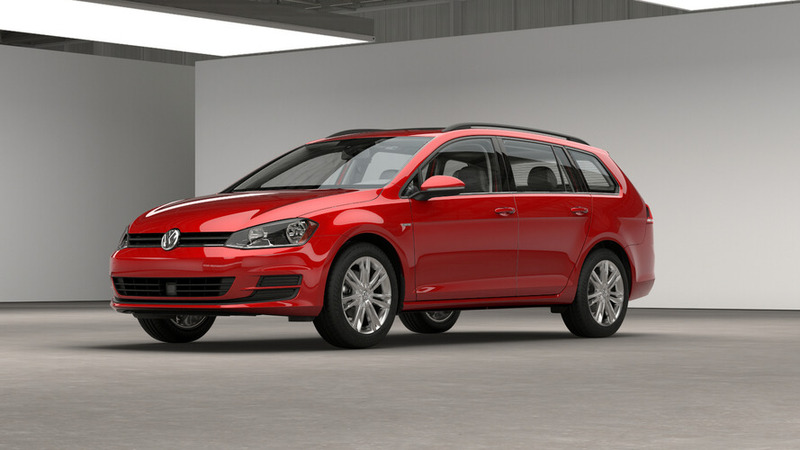 Though we couldn’t acquire a rip-roaring Golf GTI or Type R for under $25K, the Volkswagen Golf SportWagen appeals to our practical side with an enormous cargo hold that makes it an economical alternative to a compact SUV. It’s also more pleasurable to drive than the typical carpooler, with a sporty European-tuned suspension and a 1.8-liter turbocharged four-cylinder engine that generates 170 hp with a launch-happy 199 lb-ft of torque; a five-speed manual is standard with a six-speed automatic transmission optional. VW’s 4Motion all-wheel-drive system is available, and with a stick shift, it comes in at just under the $25,000 threshold (or a little over it with the automatic). Features include a backup camera, and touchscreen audio system with Bluetooth connectivity; myriad high-tech safety systems are available, but only on costlier trim levels. 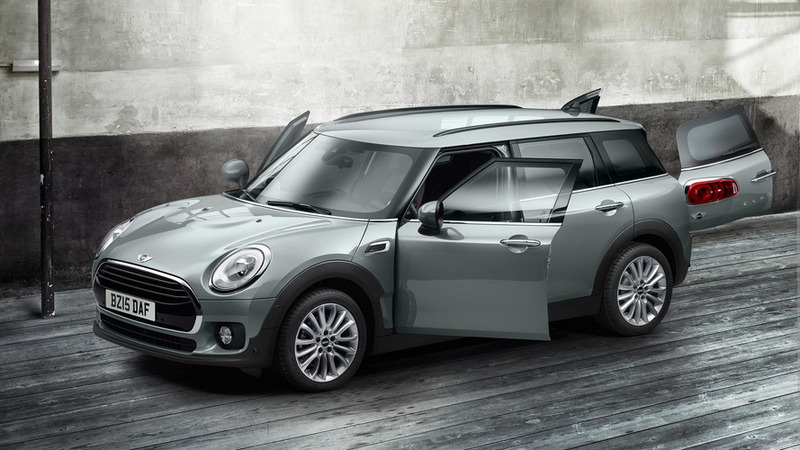 This is the Mini Cooper for grownups. A 2016 redesign made the Mini Clubman longer and roomier, though it retains the brand’s classic look, albeit with a split “barn door” tailgate configuration. The car’s interior is as eccentric looking as you’d expect, and while back seat room is still a bit tight, it’s more useable than in either the standard Cooper coupe or sedan. A turbocharged 139-hp three-cylinder engine is surprisingly up to the task, and can be mated to a six-speed manual or six-speed automatic transmission. Best of all, the Clubman retains the brand’s famed go-kart-like precision handling through the curves. All-wheel-drive is optional, with a quicker 189-hp four-cylinder engine coming in the S version, but neither upgrade comes in at under $25K.